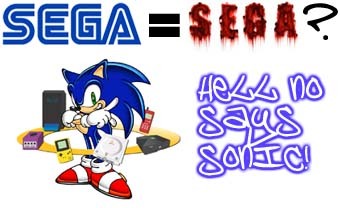 Over the last week or so, SEGA supporters everywhere have had a bit of a confusing time! Announcements have been made left right and centre concerning the future of our little white box. Rumours had people fooled into thinking that the DC was a gonna already! But Mikey and myself (Andy) are here to tell you that, whilst SEGA are due to cease production of the Dreamcast by March 31st 2001, they will continue to be a huge presence in our lives� not just on the DC, but on many other formats too. Read on to find out why the future isn�t just bright for DC owners� but console gamers everywhere! What a fool I feel forever getting one! Actually, despite recent news, the DC is STILL THE console to have in 2001. The new Pace deal will open up all the Dreamcast classics to countless more people, X-Box is looking increasingly like the DC2� Now...hear me out on that. The control pad, is going to be perfect for DC owners to get used to and it looks like SEGA games could be spilling onto that, as well as PS2 and GBA. The expected cease of Dreamcast titles in 18 months fits perfectly with the X-Box launch, at least were gonna have a lovely power house to move onto when our DC finally heads up to console heaven...to join it's equally ill fated brother, the Saturn. Don't tell me you bought the Dreamcast because of it's future, that�s why you buy the PS2...if you pre- ordered it you only had to wait 2 - 3 months...then now around 7 months for the first major title people bought the console for...then the Killer App might come along summer 2002. You bought the Dreamcast for what it has here and now. The Dreamcasts future begins here..
Well, those alone would make for a years games, but before them, we have around 40 titles due to hit, then a few 3rd party ones, that ain't on the list. Most of them are all in house! Shows that the DC will boogie on 'till the end! Roll on GameCube and X-Box! Well said, Mikey! I�d like to add one thing that has cropped up recently though. 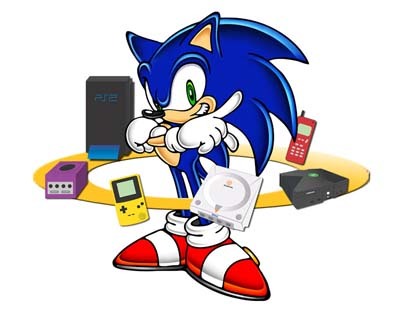 A question on every DC owner�s lips is �what happens when my Dreamcast breaks?� Well, SEGA have said that if you send your DC to them, then they will fix it. They are making sure that parts are kept for at least another six years! I bet my Dreamcast will go and break in 2009 now�. That�d really piss me off! The DC is by no means dead just yet. SEGA have pledged to support the Dreamcast console itself until December 31st 2001, but they will cease manufacture of the console 9 months prior to this. They anticipate that there will still be a small amount of supplies left at the end of the year. In the introduction, I said that SEGA have a new strategy� that they are going multi-platform. Now, this is in terms of software� not hardware production (obviously). SEGA have officially announced that they are working on titles for both the PlayStation 2 and the GameBoy Advance. As Mikey said earlier, games such as Space Channel 5 will be ported to the PS2. But it will not just be this. Others include 18 Wheeler American Pro Trucker, Crazy Taxi and Zombie Revenge. And that�s not the end of SEGA�s PS2 support. Not only are many DC games being ported over, but also our own master (Yu Suzuki) has created Virtua Fighter 4 as a PS2 exclusive (we�ll see about that�)! Just shows that SEGA are really going for it! And that�s not all! Confirmed on the GBA are Sonic the Hedgehog Advance, ChuChu Rocket! And a Puyo Puyo game. All good so far then! And if SEGA are developing for one Nintendo console� developing for the other may be a possibility! In fact, SEGA are in talks with Nintendo at the moment over developing for the GameCube! Not only that, but they are also in talks to develop games for the X-Box too (which is seeming extremely likely at this point). On top of this, SEGA are said to be making games for mobile phones, and the deal that SEGA have struck with Pace means that satellite television customers will be able to enjoy many of SEGA�s DC creations by downloading them (for a fee) onto the 40GB hard drive. This will work like a rental system, for the game will be deleted after a period of time, and so you will have to pay another fee to play some more! Still, it is a great idea� one that will be important in SEGA�s future. So, what is to become of the arcade side of SEGA? Well, that will remain unaffected. As the NAOMI hardware has actually been successful, it is likely SEGA will continue to produce this and will definitely develop games for the arcades. On top of this, SEGA is looking to make the arcade industry profitable once again, with the help of arcade developers. New centres that include multiple forms of entertainment are a very likely next step for the aging industry now, and is probably where SEGA will advance.